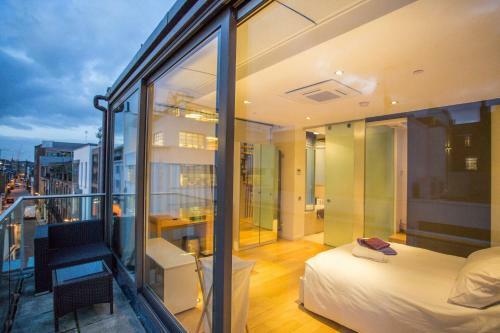 Set in London, 800 metres from British Museum, 1.1 km from Theatre Royal Drury Lane and 1.1 km from Royal Opera House, Spectacular Modern Townhouse in the Heart of London features accommodation with a terrace and free WiFi. The property has city views. The holiday home features 3 bedrooms, a flat-screen TV with satellite channels and a fully equipped kitchen that provides guests with a dishwasher, an oven, and a washing machine. Somerset House is 1.1 km from the holiday home, while Dominion Theatre is a 14-minute walk from the property. The nearest airport is London City Airport, 12 km from Spectacular Modern Townhouse in the Heart of London. Children and Extra Bed Policy: All children are welcome. All children under 2 years stay free of charge for children's cots/cribs. All children under 12 years stay free of charge for extra beds. The maximum number of extra beds in a room is 1.